The New NHS Cyber Security Standard. With the introduction of a new centralised Windows 10 agreement, Microsoft Windows operating system licences have become available, free of charge, to all local NHS organisations. 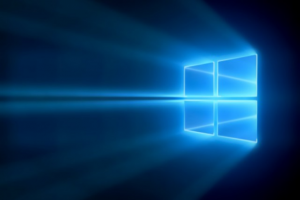 Windows 10 represents a major shift in features and management strategies adding yet a further level of complexity. To help the NHS deliver a Windows 10 refresh programme that is both effective and efficient, BDS Solutions can support Trust’s to ensure the following key considerations are identified and captured prior to roll-out. BDS Solutions can compile a gold Windows 10 image, incorporating all components required by users within the Trust and one that is aligned to NHS Digital and National Cyber Security Centre (NCSC) guidelines. The completed image can then be seamlessly distributed via Microsoft System Centre Configuration Manager (SCCM) or Microsoft Deployment Toolkit (MDT). The deployment process will incorporate both Microsoft Advanced Threat Protection (ATP) and Microsoft BitLocker, with ATP providing cyber security protection for NHS organisations linked to the Data Security Centre (DSC), a mandatory requirement for NHS central funding for Windows 10. BDS Solutions are also able to advise and assist with the creation of Group Policy Objects to both apply and provide ongoing management strategies or Microsoft security baselines and NCSC settings. For more information on how we can support you with the integration of Windows 10 and better understand the benefits, please contact us on 01884 33440 or visit: https://www.bds-solutions.co.uk/contact/. “Refreshing our desktop estate would not have been achievable in such a short timescale in-house and implementing NHS Best Practice Group Policies and guaranteeing delivery was beyond the scope of many desktop deployment companies, so we approached BDS Solutions to partner with us.